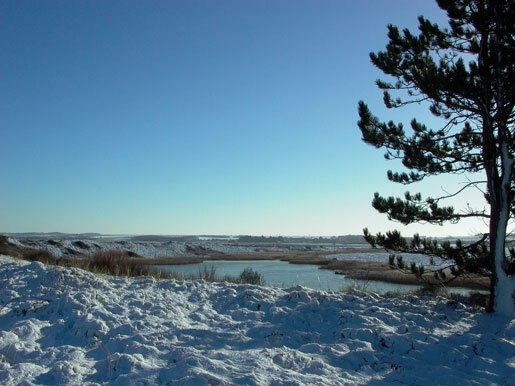 Ringing has occurred on this site since the 1950's, the observatory being established in 1962 on 13 acres (5ha) of pine and scrub covered dunes between the shore and the Broadwater (a large body of water) at Holme-next-the-Sea. This strategic position is a key migration point allowing the observation study of the various streams of migrants arriving, leaving or passing through the county. 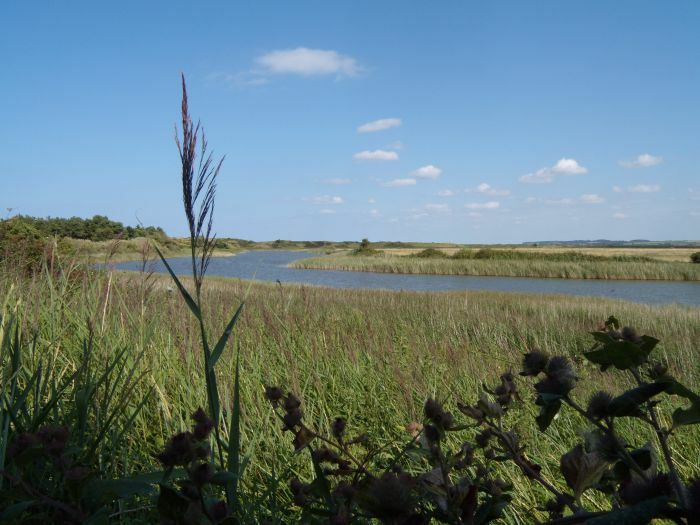 The area is designated as a Site of Special Scientific Interest (SSSI). Since 1962, when the Observatory was established, over 50,000 birds have been ringed and more than 300 species have been recorded. 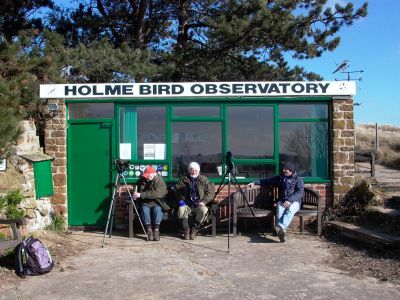 The observatory, a member of the UK Bird Observatories Council, continues to operate an active ringing programme throughout the year and has, following a kind donation, recently constructed a new Heligoland trap to aid this important work. Visitors to the observatory may watch the bird ringing when in progress. Besides birds the reserve has a range of different habitats and a number of Nationally scarce plants grow here. There is a regular moth trapping programme and visitors interested in butterflies and dragonflies will not be disappointed. Perhaps part of the attraction and charm of NOA Holme-next-the-Sea lies in its relative remoteness from everyday life, both spiritually and physically. It is, in effect, an oasis of Corsican pines and scrub set in a wilderness of sand-dunes, the nearest main road being more than a mile away across desolate grazing marshes. The full time warden takes a census of the birds present each day noting numbers and also fight direction. Land migrants are recorded together with any sea passage. In the spring a full breeding survey of the area is conducted. The reserve has five hides which overlook a variety of bird habitats and winter feeding stations. 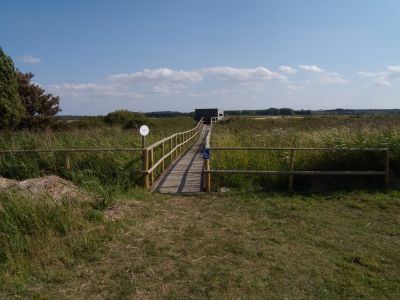 The hide shown in this picture, which has access for the disabled, looks out over Broadwater and is approached directly from the NOA car park. In addition there is a dedicated sea-watching hide, the first in Norfolk, for the exclusive use of members. The Observatory Centre provides an excellent opportunity to catch up on recent bird news as well as the chance to warm up with a cuppa on cold windswept days. For details of today's sightings contact the Observatory on 01485 525406. Please note that the Observatory is closed on Mondays. The Observatory is signposted off the A149 (as NOA Migration Watchpoint!) at the western end of Holme-next-the-Sea village, approx.1 mile east of Old Hunstanton. Follow the signposts out to the Observatory. Plenty of parking is available in the NOA's car park - on right at end of track. Note: If stopped at the Norfolk Wildlife Trust entrance hut Observatory visitors and members do not need to buy a permit or car parking pass for the adjacent NWT reserve - just let them know you are going to the NOA Observatory. There are several categories of Membership of the NOA available and single day permits are available upon application to the Warden at the Observatory.